In the 1930s, IBM began working with the Nazi regime, selling them punch-card equipment and technology used to catalog information about people. As the war progressed and the technology was enhanced, the relationship between IBM and the Nazis remained intact, and eventually every concentration camp used these punch cards to identify and track the millions of people shipped into those camps. It was the most advanced technology of its kind at the time, and it is widely believed that without it, the Nazis would have had mass chaos on their hands, severely limiting their ability to keep detailed documents and complete, regimented control over the Jews. IBM never faced any consequences for its role in this repulsive chapter of our history, most likely because the world was so much less connected then, and many people didn’t even realize IBM’s technology was being used. But today – ironically, thanks to Google – we are more connected than ever, and cannot simply shrug off the path Google is going down. There’s no doubt that Google is one of the most amazing business stories of our generation. 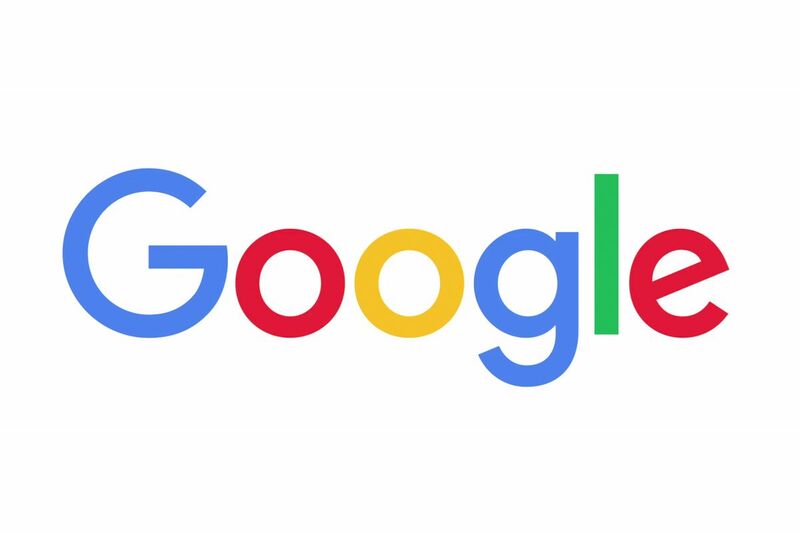 Founded 20 years ago in a garage by two Stanford students, Google is now responsible for 80 percent of all internet searches worldwide and has a market cap of $874 billion. Countless investors and employees have become multi-millionaires from Google stock, and its founders have become multi-billionaires. So when it comes to creating and running a tech company, when Google speaks, I’m all ears. When it comes to being socially responsible, however, Google’s story is much less glamorous. Google purports to be a socially progressive and responsible company. Their Code of Conduct identifies integrity, transparency, and freedom of expression as some of their core values, but they seem to only value these qualities if pretending to do so can make them money. As an example of its charade, two days after Trump won the 2016 election, executives at Google conducted an all-staff meeting broadcast around the world in which Sundar Pichai, the company’s CEO, aimed to reassure employees that it would not stand by and let Trump as President decimate human and civil rights. Shortly thereafter, Google again fiercely opposed the Trump administration when it sought to enact a travel ban; co-founder Sergey Brin became an alleged “hero for democracy” on social media as he passionately voiced opposition to the ban, claiming it was a violation of civil and human rights. Yet, Google today no longer vocally opposes Trump, or any immigration policy, because they saved billions of dollars under Trump’s tax reform plan and have a much wider market for things like driverless cars and drones under this administration. Thus, their purported commitment to civil and human rights was “trumped” by profits. Even more egregious is the latest covert plan that Google hatched with the Chinese government called “Operation Dragonfly” to create a Chinese version of Google that would screen out of search results any term, organization, or publication the Communist regime deemed off-limits. If it creates such a search engine, Google will graduate from “hypocrite” as it relates to civil liberties to a “facilitator” of a regime that is actively working to deprive human and civil liberties to over a billion people. Such a nuance should not, and cannot, be overlooked. It’s one thing for a company to do business with China as it relates to buying or selling commodities, and another for one of the most powerful technology companies in the world to help it create a method of systematically depriving its citizens of basic rights. And while it may technically be “legal” for Google to do so, it is disgraceful that a successful company worth almost a trillion dollars would even entertain, let alone begin the process, of creating a tool to facilitate propaganda. China, with a population of nearly one and a half billion citizens in a space almost four million square miles, wants to disseminate a false narrative to control these people. Google can try and spin it however it wants, but if they complete this project, they will have traded the basic human and civil rights of the Chinese people for just some more profits. It’s easy to look back at IBM’s Holocaust involvement and say that could never happen today, but with Google’s latest flirtation with China, that’s precisely the path the company is going down. Let us all remember the observation attributed to Edmund Burke: “The only thing necessary for the triumph of evil is for good men to do nothing.” Let’s hope Google is the “good people” they purport to be. This week’s wine is 2016 Beaux Freres, Willamette Valley, Oregon Pinot Noir ($59.99) – We found this gem on the wine list at Star Boggs in Westhampton Beach. It had a stunning bouquet of cherries and vanilla with a spicy finish. Although young, it was elegant and drinkable. It paired perfectly and is a must-have with the roasted duck breast! LIHTI Lighting the Way – I serve on the board of the Long Island High Technology Incubator (LIHTI) at Stony Brook University and recently joined the Executive Committee, so it was the perfect time to pay a visit to Director Matthew Stadler and Incubator Advocate Dan Polner for a spotlight feature on this innovative hub. For nearly 30 years, LIHTI has worked with more than 70 businesses, helping them grow and contribute over $2.5 billion to the economy. Stay tuned for more details about the exciting work going on inside LIHTI’s halls. CEO Forum (with a Side of Olives) – HIA-LI welcomed Chris Valsamos of Castella Imports to last week’s CEO Forum, which I was happy to moderate. We talked about growing businesses from the ground up, the importance of community outreach, and leadership lessons learned along the way. Learn more about Chris’s critical work to combat bullying and empower young people with the Sophia Valsamos Foundation. 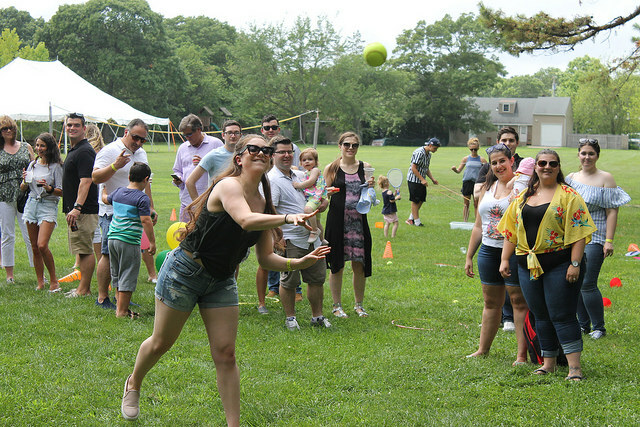 CMM BBQ – Last Friday, per CMM tradition, we closed the office at noon so our whole team and their families could enjoy the day together at Country Fair Entertainment Park. I still can’t believe how far the firm has come over the past 10 years, and as I looked around at everyone’s beautiful families I was overwhelmed with a sense of pride. It was the best family picnic we’ve had yet (even though I ended up in the dunk tank thanks to my daughter’s great throw). Energeia – The on-again, off-again drizzle threw us for a loop, but I thoroughly enjoyed the Energeia golf outing on Monday at the Meadowbrook Country Club with the fabulous foursome of Joe Zepf of Party City, John Larkin of Markowitz, Fenelon & Bank and Kyle Collins of Town of Southampton. CMM Cares – We may have picked the hottest day of the year, but our inaugural CMM Cares initiative this past Tuesday was a terrific success! CMM volunteers partnered up with Gary Bercarich and his talented team at Gary B. 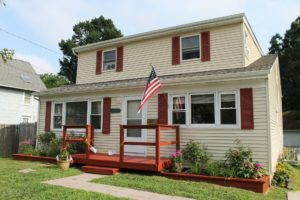 Home Improvements to sand, paint, and beautify two homes on the South Shore owned by United Veterans Beacon House, an organization that provides housing to military veterans and their families. We also purchased and set up outdoor patio sets for the residents to enjoy. We chose UVBH this year in honor of our own Jack Harrington, a Lieutenant in the U.S. Navy Reserve, who will deploy to Afghanistan this fall. A Rabbi and Priest Walk into a Bar – I’ve previously mentioned my friendship with Father Roy Tvrdik of the Shrine of Our Lady of the Island, and I was thrilled to welcome him and Rabbi Gadi Capela of Greenport’s Congregation Tifereth Israel to the office this week. Father Roy and Rabbi Gadi have teamed up on Project Genesis, a learning program that invites Jews and Christians to learn about the common roots of their faith and heritage. In a time when our world feels more divided than ever, I find this project to be especially important. Be on the lookout for more from this dynamic duo.